The queen of all things natural, Anna has a sheer pink finish and has an 84% plant-based formula. With ingredients such as manioc, cotton, plant keratin and starflower oil, this delicate color is kind to your nails and the planet. We have also created a 2-in-1 Base & Top Coat to make your manicure even easier. Our PURE color polishes are free from toxic ingredients: no paraben, toluene, dibutyl phthalate, formaldehyde, xylene, styrene, camphor, resin of formaldehyde, benzophenone-1 or nanoparticles. Start with clean, dry nails. Take off old polish and then wash and dry hands thoroughly. A blank canvas is the key to a long lasting manicure! 2. Apply one coat of Anna in three easy strokes: start with one in the middle of the nail and then one on each side. Leave a millimetre gap between the cuticle and the color for a salon-style finish. 3. Add an extra coat for a more opaque and long-lasting finish. 4. Finish with a slick of top coat for an even longer lasting manicure and even glossier finish. 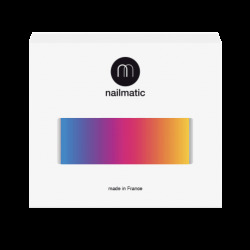 - This subtle nail polish is a natural for a pretty wedding manicure or to give your nails some down-to-business polish for a job interview. - When you get to the end of the bottle, don’t dilute what’s left – it’ll reduce your polish’s wear and finish. Better to buy a new bottle and transfer what’s left to that instead! Ingredients: butyl acetate, ethyl acetate, nitrocellulose, isosorbide dicaprylate/caprate, adipic acid/neopentyl glycol/trimellitic anhydride copolymer, alcohol, stearalkonium bentonite, diacetone alcohol, n-butyl alcohol, acetyl tributyl citrate, isopropyl alcohol, borago officinalis (borage) seed oil, phosphoric acid, hydrolyzed corn protein, hydrolyzed wheat protein, hydrolyzed soy protein, leuconostoc/radish root ferment filtrate, ci 77891 (titanium dioxide), ci 15850 (red 6 lake), ci 19140 (yellow 5 lake).